These images were taken from online but accurately represent what we experienced when we visited. The Dinner Devils visited St Lawrence in May 2018 and will definately be back in 2019. 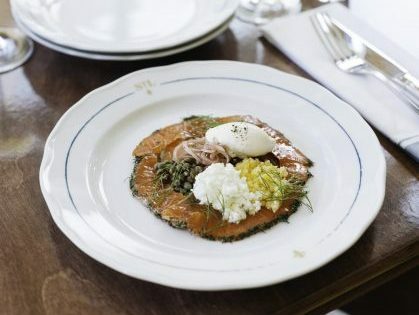 St Lawrence offers classic French cuisine with Quebecois inspiration! They offer haute country cooking at its finest. With a rustic menu created from childhood memories, Chef JC Poirier dusts off and reimagines the classics in a vibrant and intimate setting. Classic French dishes such as steak tartare, mushrooms in puff pastry and rabbit in mustard sauce are featured on the menu. And if you save room for dessert, they are well known for their sugar pie. 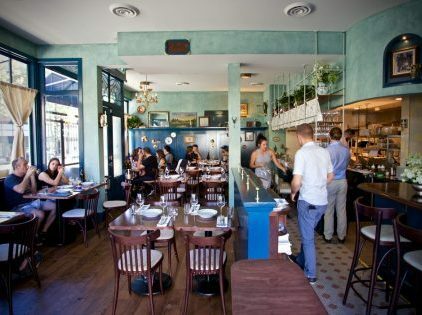 St. Lawrence is filled with stories surrounding both French and Quebecois food and wine culture, and guests will be captivated by those stories with every plate and glass.